1992-08-08. New. Ships with Tracking Number! INTERNATIONAL WORLDWIDE Shipping available. Buy with confidence, excellent customer service! 1993-06-06. New. Ships with Tracking Number! INTERNATIONAL WORLDWIDE Shipping available. Buy with confidence, excellent customer service! 2005-07-02. New. Ships with Tracking Number! INTERNATIONAL WORLDWIDE Shipping available. Buy with confidence, excellent customer service! 1996-04-04. New. Ships with Tracking Number! INTERNATIONAL WORLDWIDE Shipping available. Buy with confidence, excellent customer service! 2018-09-01. New. Ships with Tracking Number! INTERNATIONAL WORLDWIDE Shipping available. Buy with confidence, excellent customer service! 1995-03-05. New. Ships with Tracking Number! INTERNATIONAL WORLDWIDE Shipping available. Buy with confidence, excellent customer service! 2014-05-03. New. Ships with Tracking Number! INTERNATIONAL WORLDWIDE Shipping available. Buy with confidence, excellent customer service! 2005-05-09. New. Ships with Tracking Number! INTERNATIONAL WORLDWIDE Shipping available. Buy with confidence, excellent customer service! 2014-05-03. Good. Ships with Tracking Number! INTERNATIONAL WORLDWIDE Shipping available. May not contain Access Codes or Supplements. May be ex-library. Shipping & Handling by region. Buy with confidence, excellent customer service! 2018-09-01. Good. Ships with Tracking Number! INTERNATIONAL WORLDWIDE Shipping available. May not contain Access Codes or Supplements. May be ex-library. Shipping & Handling by region. Buy with confidence, excellent customer service! Merriam Webster Mass Market. MASS MARKET PAPERBACK. 0877799156 New Condition. . New. Merriam Webster. Hardcover. 0877792208 New Condition. . New. Merriam Webster. Hardcover. 0877794200 New Condition. . New. Merriam Webster Mass Market. PAPERBACK. 0877799083 New Condition. . New. Merriam Webster, 2005-06-15. 4. Hardcover. Used:Good. 1993-06-06. Good. Ships with Tracking Number! INTERNATIONAL WORLDWIDE Shipping available. May not contain Access Codes or Supplements. May be ex-library. Shipping & Handling by region. Buy with confidence, excellent customer service! Merriam Webster Mass Market, 1996-04-01. 3rd Rep. Paperback. Used:Good. Merriam Webster, 1995-10-01. 3rd. Hardcover. New. Merriam Webster, 1995-10-01. 3rd. Hardcover. Used:Good. Merriam Webster Mass Market, 1993-06-01. 2nd. Paperback. Used:Good. 2005-05-09. Good. Ships with Tracking Number! INTERNATIONAL WORLDWIDE Shipping available. May not contain Access Codes or Supplements. May be ex-library. Shipping & Handling by region. Buy with confidence, excellent customer service! 1996-04-04. Good. Ships with Tracking Number! INTERNATIONAL WORLDWIDE Shipping available. May not contain Access Codes or Supplements. May be ex-library. Shipping & Handling by region. Buy with confidence, excellent customer service! 2005-07-02. Good. Ships with Tracking Number! INTERNATIONAL WORLDWIDE Shipping available. May not contain Access Codes or Supplements. May be ex-library. Shipping & Handling by region. Buy with confidence, excellent customer service! 1995-03-05. Good. Ships with Tracking Number! INTERNATIONAL WORLDWIDE Shipping available. May not contain Access Codes or Supplements. May be ex-library. Shipping & Handling by region. Buy with confidence, excellent customer service! Merriam Webster, 2005-10-01. LRG. Paperback. Used:Good. Merriam Webster. Hardcover. 0877792208 Like New Condition. . Fine. Merriam Webster Mass Market. PAPERBACK. 0877799083 Like New Condition. . Fine. Merriam Webster Mass Market. MASS MARKET PAPERBACK. 0877799156 Like New Condition. . Fine. Merriam Webster. Hardcover. 0877794200 Like New Condition. . Fine. Merriam Webster Mass Market. Paperback. 0877799156 . Good. 1998. Merriam Webster. Used - Acceptable. Shows definite wear, and perhaps considerable marking on inside. Merriam Webster. Used - Like New. Book in almost Brand New condition. The book is new with very little shelf wear. Please see the photos for details about the condition. Buy more than one book and we'll combine your = to save you money. Customer satisfaction is our goal. We are not professional booksellers. We do our best to describe the condition of our items in the description and with photos. If you have any questions or would like additional photos, please contact us. We want you to be happy with your purchase. If you are unhappy for any reason, please let us know and we'll do our best to address your concern or you can return the item for a refund as described below. If the item fails to match its published description, contact us with the reason within thirty (30) calendar days of receiving it. We will send you a return prepaid shipping label and a return number. When we receive the item in same condition that it was sent to you, we will reimburse you purchase price, shipping costs including any insurance. If the item matches its published description and you have any other reason for returning it, contact us with the reason within seven (7) calendar days of receiving it. We will send you a return number. When we receive the item in same condition that it was sent to you, we will reimburse you the purchase price. You will need to cover the return postage and any insurance. Turtleback. LIBRARY BINDING. 0606369201 . New. Turtleback. LIBRARY BINDING. 0606369201 Remainder mark . Fine. Turtleback. Library Binding. 0606369201 . Fine. 2014-08-06. Bound for Schools &. Merriam Webster Mass Market, 2014-08-06. Paperback. Good. 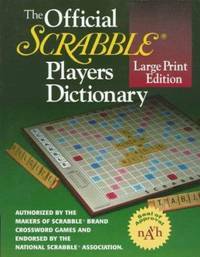 U.S.A.: Merriam Webster, 1995. Book. Very Good. Hardcover. 3rd Edition. spine cocked a bit, edge wear, shelf rubbing, minor fraying to jacket. remainder mark to bottom page tips, clean text. Merriam-Webster, Incorporated, 1998. Paperback. Acceptable. Disclaimer:A readable copy. All pages are intact, and the cover is intact. Pages can include considerable notes-in pen or highlighter-but the notes cannot obscure the text. At ThriftBooks, our motto is: Read More, Spend Less.Dust jacket quality is not guaranteed.